Farncombe Day Centre is for the ‘Young at Heart’ the services we offer include lunches, coffee and tea,homemade cakes and pastries and much more on our servery. 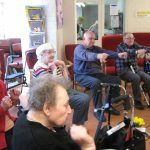 We offer social activities such as Entertainment,themed days, Chair Yoga and seated exercise and they are at no extra cost. 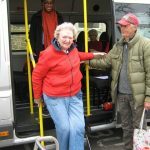 Farncombe day Centre does not have a membership fee. We offer a minibus pick-up and return, chiropody, hairdressing and assisted bathing.